Just for those of you who have/are getting a pair of dragons “…because it would be nice to try breeding…..”. This year we have hatched 57 babies, these are from 1 female who laid 3 clutches fertilized during one period of mating. This is not unusual and it is possible to get 25~30 eggs per clutch with some females. With this number of eggs you need a reasonably sized incubator somewhere where you can check it regularly to see the eggs are healthy, developing well and in due course (between 55 & 90 days +/-) hatching. This is where the fun starts as within 3~5 days they will begin eating, so you need to prepare finely diced vegetables daily, plus of course, crickets, probably 7 boxes a week for one clutch. Once they’ve had their first feed in the morning you of course then have to clean the droppings out of the viv. (healthy well fed babies seem to be able to go twice a day!) Mid morning or very early afternoon comes the second feed of the day, with a possible 3rd feed around 3~4 pm if they’re still hungry. Having put around 20 babies in a 4ft viv. after a couple of weeks you’ll need to split them into two lots as they’ll be squabbling over food and growing at different rates – so now you need 2 vivs. 3~4 weeks after the first hatching the second lot will hatch and as a RESPONSIBLE owner you WILL NOT have sold the first babies because they need to be around 8 weeks old to have a real chance of survival at the hands of a newbie. So …., now you have another 20 odd babies and need another viv., in fact another 2 because they also will have to be separated before the first clutch goes. Here you call for the bank manager, as you need a loan to cover the additional crickets needed to feed the ever increasing horde. Thankfully just before the third clutch hatch you sell the first to your local pet shop, who up ‘til now you have castigated for their lack of reptile knowledge and the generally poor conditions in which their stock is kept. They however only give you around 10~15% of their retail price which means that the cost of food and general maintenance has only just been covered. That sale has cleared 2 vivs and your last clutch are now hatching, trouble is that you held back a few slow growth babies in one viv, this means that you need another one!! Back to the bank for a 2nd mortgage, that’s OK though because you won’t have time for any holidays until they’ve all gone, which will be in the region of 18 weeks after the first hatching. All because you thought it would be cute to try breeding your beardies….. of course you can be lucky as in the first year it’s not unusual for a female to only have 1 or 2 small clutches (you hope). We currently have a food bill around $120.00 per week, 5 vivs. 2 incubators and only 44 babies, having sold 13 two weeks ago. Rick you ROCK. Everyone should be aware of this before they attempt breeding or even think about buying two beardies. Also if your lucky enough for your two shop brought beardies to mature and still get on and they turn out to be male and female, chances are they are brother and sister so shouldnt be breed together anyway regardless of wether or not you can afford it! Thank you for posting this thread and if it's not already a sticky thread, maybe it could be made one so anyone thinking of getting a pair (for breeding or otherwise) can read this as soon as possible! Family: hubby, kids: Jojo, Chloe, Kea, Charlie and Miya. Dogs: Xena (boxer), Poppy (GSDxDoberman) and Ice (GSD). Well done Rick! Great post! I can agree that the cost of raising babies shocked the hell out of me! Luckily I was as much into it as Michael - I dread to think what parents think when they've bought their children two beardies to 'keep each other company', and then - as you say - end up with having to take out loans simply to buy the food! Very luckily for us I'd recently received a small inheritance which meant I could buy the equipment and feed the babies without dipping into my bank account - without this I would have been seriously worried! Another cost to add on is the cost of advertising - I didn't want to sell to local pet shops as none were up to the lowest standard in keeping beardies, and although you can place free ads (such as this forum), it takes time to sell. So I had to pay to advertise as well - not a huge fortune, but something else that means you can just about cover your costs, but not expect any profit! I am new to the forums and just read this thread. Having recently purchased a breeding pair of beardies this thread has made me aware of the full enormity of the task ahead (the female is suspected to be full of eggs). Fortunately we have a lot of spare kit for all of our other animals (past and present) but with both of us working full time and having so many animals to look after (and I'm trying to start a sewing business!) I think we'll have to plan very carefully how to handle the situation so as to ensure that everything has the proper care and attention they deserve. hi rick. just read that n its very intresting. how many adult dragons have you got n how many are breading? I only maintain 1 breeding pair although I do have 4 adult dragons. The market for babies is still fairly good over here although the price is dropping. Next year I'm starting a small breeding program with colours but depending on clutch size may only raise 1 or 2 clutches given the timeand expense involved. From what I've seen of the UK market unless you have some fairly exotic babies and/or a good reputation for breeding you'll have great difficulty in disposing of any that you do raise. You can struggle to give them away here at the moment. Im seeing babies go for ten/ fifteen pounds which is silly money. And compared to how much an individual baby costs to rear (responsibly without cutting corners) its not a money making idea thats for sure. Rick wrote: Just for those of you who have/are getting a pair of dragons “…because it would be nice to try breeding…..”. bob on with the info rick,its good to see people care.Im not in the breeding program for how much money i can make.And i dont care how much it cost.I just want the sheer joy and excitement of seeing them hatch and pass them onto good homes,free if thats what it takes.Just hope i can part with the little buggers when it comes to it, cos im a sucker for reptiles and my collection is allready big enough lol. We try our best to help but we also try our best to dissuade people from breeding - particularly "normals". There are so many out there (in the UK) that they are being given away and then turning up at shelters because people have not properly researched them before buying. It's a great pity but that's the current position, so whilst we'll provide all the help you need please remember that unless you're breeding some of the more exotic colours you'll probably end up wandering what the hell you let yourself in for (just ask Trish who owns the forum). 15 weeks on and I'm still trying to find homes for 13 babies! Costing me a fortune in feed. Yes they are cute, but very hard work! I won't give them away free, as they'll end up going to homes where they don't have the faintest idea about how to keep them. Even people who have fully prepared for beardies are suprised at the ongoing feeding costs in the first year - I dread to think what someone who's acquired a beardie just because it's free will think when they find out it's actually cheaper to feed a dog! Webmaster wrote: 15 weeks on and I'm still trying to find homes for 13 babies! Costing me a fortune in feed. Yes they are cute, but very hard work! I won't give them away free, as they'll end up going to homes where they don't have the faintest idea about how to keep them. 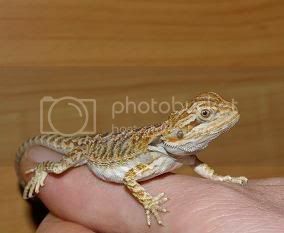 For all of you that have loads of Baby Beardies you can not sell, you should move to norfolk ( England) I have been looking for a while and I have to pay in-between £49 to £75 for a young Beardie and more for an older one. There is no one around this area that breed (well they dont advertise). 3 of my local pet shops have diffecultly in keeping up with the demand. Its strange how the story is different depending on where you live.